Wozniacki ………. Woznick ~ whom do you know better ? In 1969, Wozniak returned to the Bay Area after being expelled from University of Colorado Boulder in his first year for hacking into the institution's computer system. During this time, Wozniak designed and built his "Cream Soda" computer with his friend Bill Fernandez. He later re-enrolled at De Anza College and transferred to University of California, Berkeley in 1971. In 1986, he finished his degree in electrical engineering at the University of California in Berkeley, graduating using the name Rocky Raccoon Clark to keep his identity secret. He had first attended Berkeley in 1971, but ended up taking a break to work on Apple. Don't call him a college dropout, though — he told the Los Angeles Times, "I simply took a year off to earn money for my fourth year of school. And then my career kept going up." Before focusing his attention on Apple, he was employed at Hewlett-Packard where he designed calculators. It was during this time that he befriended Steve Jobs. Though he's no longer involved with the company he helped build, Wozniak remains a figure in the tech world, speaking at conferences and offering insights on the state of the industry. He even did a stint on ABC's "Dancing With the Stars" back in 2009. Caroline Wozniacki, the Danish star, has reached the French Open quarterfinals for just the second time in her career, and the former world No. 1 says she has been having a very good season. Currently ranked No. 12, Wozniacki reached the finals in Doha, Dubai and Miami, all on hard courts. On clay, she lost early in Prague, Madrid and Strasbourg, but this week feels very confident. “I felt good all year,” she said. “I have been playing well, and confidently. I felt pretty good going into the tournament. Obviously it's clicking this week. I stay positive. I feel like I can play well on any surface, and I really believe that. I have won tournaments on the red clay, too, so it's not like it's foreign to me. But it's a surface where it's been very much up and down throughout my career.” The 26-year-old Wozniacki has won 25 tournaments, but has not won any big events since 2011, when she took titles in Dubai, Indian Wells and Charleston, among others. She did twice reach the final at the U.S. Open, in 2009 and 2014. Wozniacki says that she will now mix up her game, especially using drop shots. She is coached by her father, Piotr, who is coming around on her using the shot. Nothing more on Danish tennis star, and more on the man who co-founded with Steve Jobs but is not as rich or as famous as him. Stephen Gary Wozniak born in 1950 is an inventor, electronics engineer, programmer, philanthropist, and technology entrepreneur who co-founded Apple Inc. He is known as a pioneer of the personal computer revolution of the 1970s and 1980s, along with Apple co-founder Steve Jobs. Wozniak single-handedly developed the 1976 Apple I, which was the computer that launched Apple. He primarily designed the 1977 Apple II, known as one of the first highly successful mass-produced microcomputers, while Jobs oversaw the development of its unusual case and Rod Holt developed the unique power supply. Wozniak developed the hardware and operating systems for the Apple 1 in 1976. This rare version of the early computer sold for more than $380,000 at a Christie's auction in 2013. 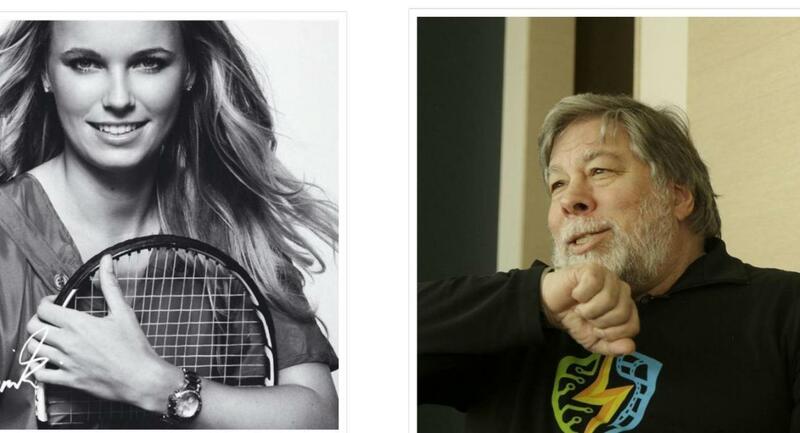 Company lore has it that the pair built the computers in Jobs' Los Altos garage, but Wozniak says that's mostly a myth. He told Bloomberg Businessweek's Brandon Lisy, "The garage didn't service much purpose, except it was something for us to feel was our home." That hasn't stopped thousands of Apple fanboys from making the trip to the former Jobs home each year. Wozniak designed the Apple II, went on to become one of the first majorly successful personal computers available for mass purchase. Wishing to pursue a more engineering-focused role elsewhere, Wozniak decided to leave his managing responsibilities at Apple in 1985, selling most of his stock. He is still an Apple employee, though, and receives an annual stipend that's estimated to be worth at least $120,000. The Apple II series is a family of home computers, one of the first highly successful mass-produced text command microcomputer products, designed primarily by Steve Wozniak, manufactured by Apple Computer (now Apple Inc.) and introduced in 1977 with the original Apple II. In terms of ease of use, features and expandability, the Apple II was a major technological advancement over its predecessor, the Apple I, a limited-production bare circuit board computer for electronics hobbyists that pioneered many features that made the Apple II a commercial success. It was first sold on June 10, 1977. By the end of production in 1993, somewhere between five and six million Apple II series computers had been produced. It was aggressively marketed through volume discounts and manufacturing arrangements to educational institutions which made it the first computer in widespread use in American secondary schools. 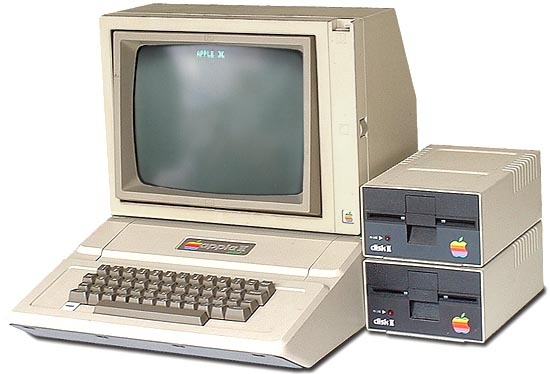 The original Apple II operating system was in ROM along with Integer BASIC. Programs were entered, then saved and loaded on cassette tape. Often there would be comparisons on where Wozniak landed and Jobs finished – perhaps there was difference in whatever they wanted. One was a builder, inventor other a good marketing businessman. The creator of radio would have enjoyed making a product that no one else had ever thought of ~ the marketer ensured that it reached million homes selling that it would benefit the user and in the process made billions of money ! When one tries to understand where money is generated in the world, it makes complete sense in why Jobs ended up richer. Money is not generated by pure invention. It is resourcefulness and the outreach that one creates in the market that translates into monetary riches. The brilliant man is known as genius, the other was good to translate it into what it counted for him ! – both are happy ! !